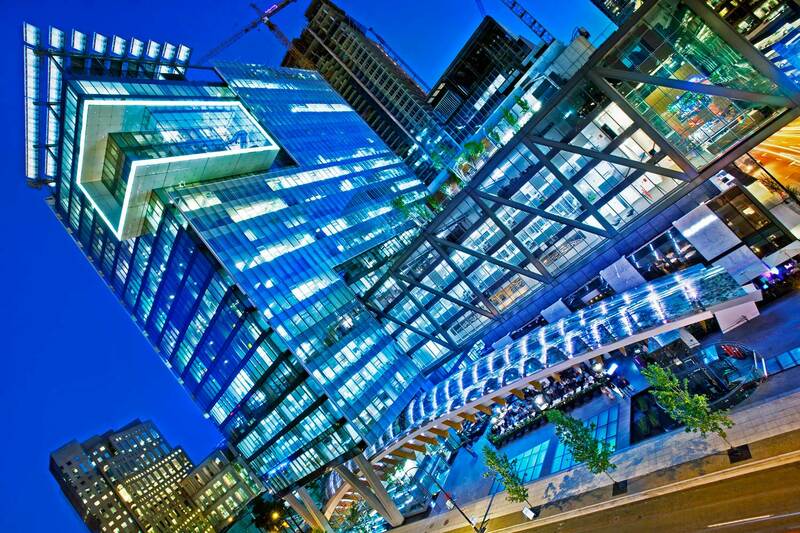 The TELUS Garden development has radically transformed the heart of downtown Vancouver. The impressive development is home to TELUS headquarters as well as other prominent tech companies in the city. The design is in response to TELUS’ ambitions, and is a beautiful architectural icon of advanced technology, environmental stewardship, and new work styles. The interiors integrate with the overall design and vision of tying in the building’s larger “garden” concept and contributing to the LEED Platinum Certification.